Dots Scrapbooking: Fresh Air is Great For Everyone! Fresh Air is Great For Everyone! 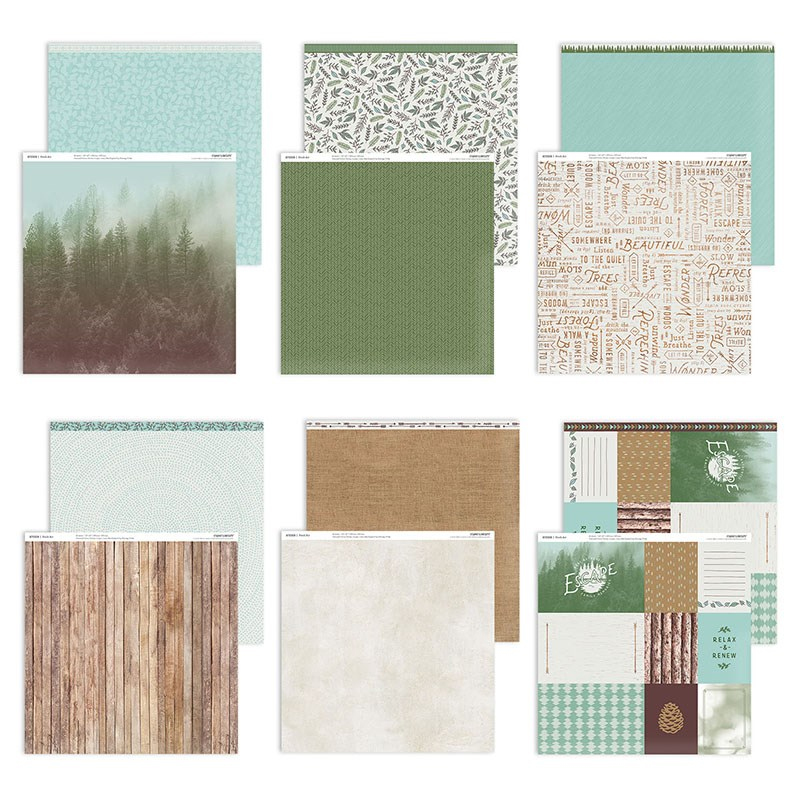 I love the new papers in our new Seasonal Expression catalog that went live May 1st. I do have to say I am very partial to the Fresh Air papers, though. Look at the glorious forest scene with the morning fog. Can't you just feel and smell the air? Anything outside will look wonderful on this backdrop. The PML (Picture My Life) cards are perfect complements to these papers. 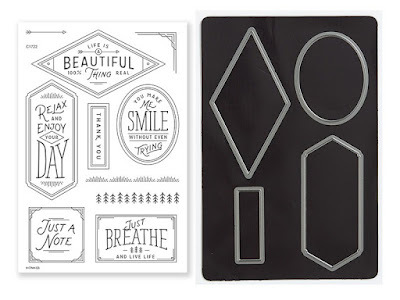 The Fresh Air Workshop Your Way has great embellishments that also coordinate with these papers. 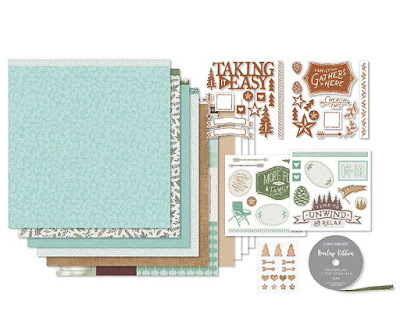 Our workshops for scrapbooking and card making all have guides that are included in the kits to make creating easy and professional looking. The scrapbooking kits have instructions for making cards that use the remaining papers in the kit and you will still have some paper leftover for other projects. That's three 2-page layouts and 8 cards if you choose to make multiples of all of the designs. 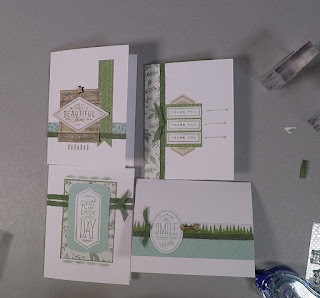 It is suggested to get an additional stamp set and maybe thin cuts to make the cards. 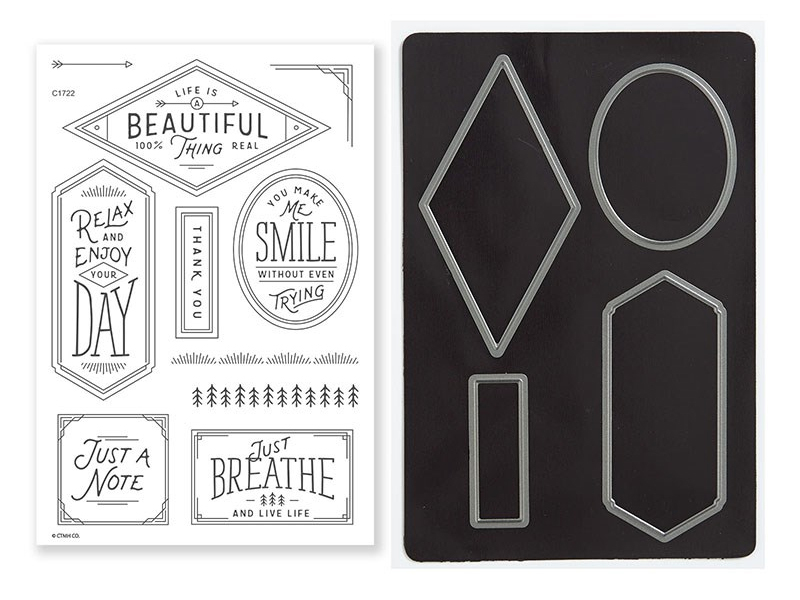 One of the new Workshops Your Way kits from Close To My Heart is Fresh Air. Along with the 3 layouts there are 4 cards that are included in the how-to guide. I show you how to triple color a stamp as well as put together these easy yet interesting cards. The cards are very easy to make yet are so cute. I really love the versatility of the stamps and thin cuts make the cutting a breeze! Please feel free to leave a comment here. I'd love to hear from you!